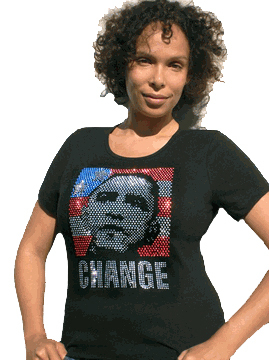 Wear one of these beautiful rhinestone Obama shirts and show your support for our president in style! We have both womens and men's sizes in tee shirts, tank tops and long sleeve shirts. We can fit anyone! If you have any questions or need a custom order just give us a call. Quantity discounts are available well. 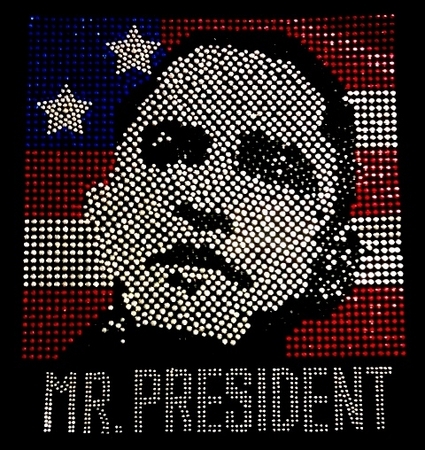 This page is currently being edited in order to enable us to better display our wide variety of Obama Rhinestone shirts. Please call 305-582-4846 for wholesale pricing.